Bang Rong Pier is only a 30-minute drive from Phuket airport. 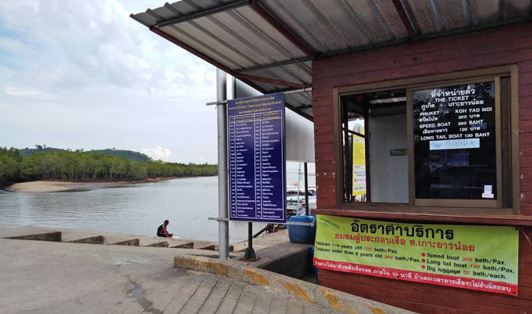 There are trips to Koh Yao Yai, Koh Yao Noi, and Koh Naka, boat prices and time vary according to your destination, each day speedboats operate at regular intervals from 7:40 and 17:30 to Koh Yao Yai. Travelers don’t always go to the pier to catch a ferry or a speedboat to the nearby islands, there are several activities like kayaking through the mangroves, and paddling a small vessel through the waters.